Meridian opens its doors in West London | What Hi-Fi? 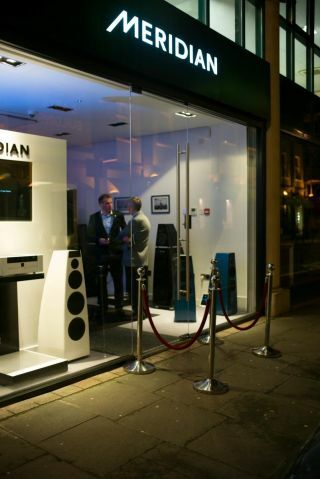 Meridian Audio has been marking the opening of its first London boutique store (in the achingly fashionable Chelsea Design Quarter) with VIP and media events, world-class violin-toting from Diana Yukawa and the launch of its new Special Edition DSP Digital Active loudspeakers. The company opened its first UK boutique in Oxford back in 2011, as part of a wider global rollout of the stores in upmarket locations in Chile, Mexico, Kuwait, Taiwan, India (Delhi and Bangalore) and Russia. The Boutique houses the complete Meridian Audio range, arranged in dedicated zones for the company's Reference Series, Streaming Systems, Personal Audio and DSP Digital Active speakers. There's also a high-end home cinema demonstration that forcefully illustrates Meridian Audio's prowess with Custom Install-orientated speaker systems. You'll find Meridian West London at 535 Kings Road, London, SW10 0SZ.